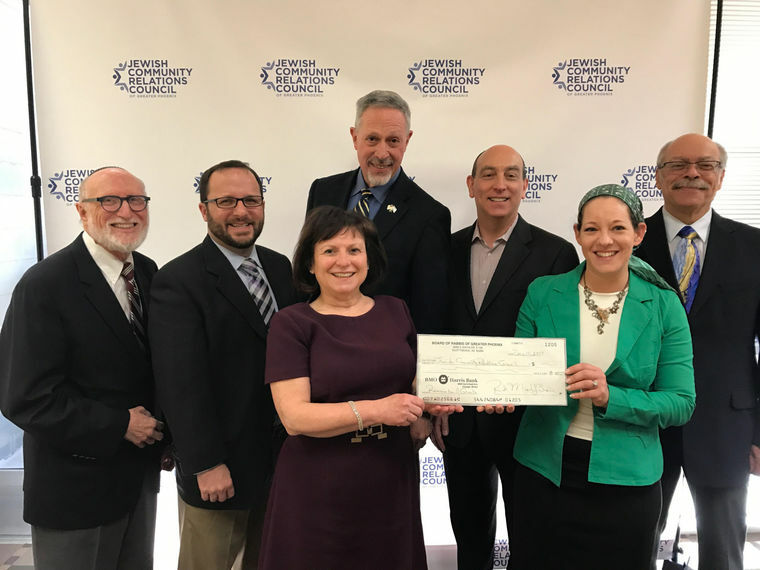 The Jewish Community Relations Council (JCRC) continues to make progress on its mission to serve as a voice responding to issues affecting the Valley’s Jewish community. 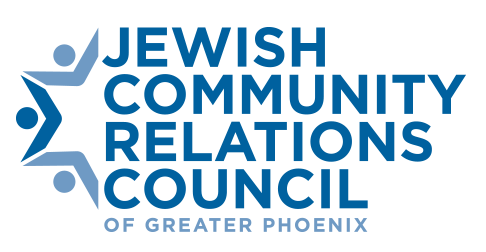 After recently being incorporated as its own 501(c)(3), the JCRC received funds held on its behalf by the Greater Phoenix Board of Rabbis. Guided by the Board of Rabbis, and with financial support from the Jewish Community Foundation of Greater Phoenix (JCF), the JCRC was established to provide a collective voice for the Valley’s Jewish community with a focus on interfaith relations, building ties with elected officials and other relevant public affairs issues. The JCRC fills the void left behind when the Jewish Community Relations Committee ceased operations in 2008. The JCRC has received three grants from the Foundation since 2015, totaling roughly $124,000. “We are grateful to the Board of Rabbis and the JCF for their efforts, support and assistance in creating this vitally important organization,” said Alan C. Jablin, founding president of the JCRC board. In 2015, the Board of Rabbis hired two consultants — Sandra Price and Rhonda Bannard — to help lead an initial group of volunteers tasked with advancing the initiative. They also helped begin the search for the JCRC’s first executive director. Karolyn Benger was named to the position earlier this year. Benger was previously employed as the director of community services for the Jewish Free Loan, and before that she was executive director of the Jewish Interest Free Loan of Atlanta. While much of the JCRC’s work takes place behind the scenes, Benger explained, the council has a number of public events scheduled for the next few months. In conjunction with the Bureau of Jewish Education and the Arizona Jewish Historical Society (AZJHS), the JCRC will host a screening of “Strange Fruit,” a documentary exploring relations between the African-American and Jewish communities by looking at the history and legacy of the eponymous poem. The poem, which is about the lynching of African-Americans in the Jim Crow South, was written and set to music by Abel Meeropol, an American Jewish songwriter and poet. The song was popularized by jazz singer Billie Holiday. This spring, in conjunction with the Arizona Faith Network and the East Valley JCC, the JCRC will host an event called Judaism 101 at the East Valley JCC. It is meant to introduce non-Jews to some of the basic aspects of Judaism. In April, the JCRC will hold an interfaith concert featuring performances from choirs of diverse faiths from around the Valley. The concert will be held at the Arizona Jewish Historical Society. Greater Phoenix Board of Rabbis secretary and project liaison Rabbi Bonnie Sharfman (front row, left) hands a ceremonial check to Jewish Community Relations Council Executive Director Karolyn Benger. Also attending the event are, back row from left, Greater Phoenix Board of Rabbis Treasurer Rabbi Mark Bisman, First Past President Rabbi Jeremy Schneider, President Rabbi Robert Kravitz, President and CEO of the Jewish Community Foundation of Greater Phoenix Richard Kasper, and JCRC Board President Alan C. Jablin.